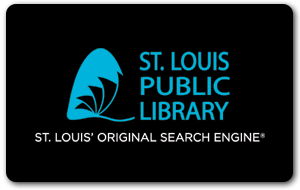 The St. Louis Public Library invites you to search our catalog and enjoy one download—ebook, audiobook, music, movie or tv show--with no commitment. To get started, use the Barcode and Pin from your Guest Pass, and log in here. Try it out, and discover the unlimited possibilities an SLPL Card provides. Ready for your Card? Sign up here!